I broke down and gave into the elf craze last year. I'm so glad that I did. 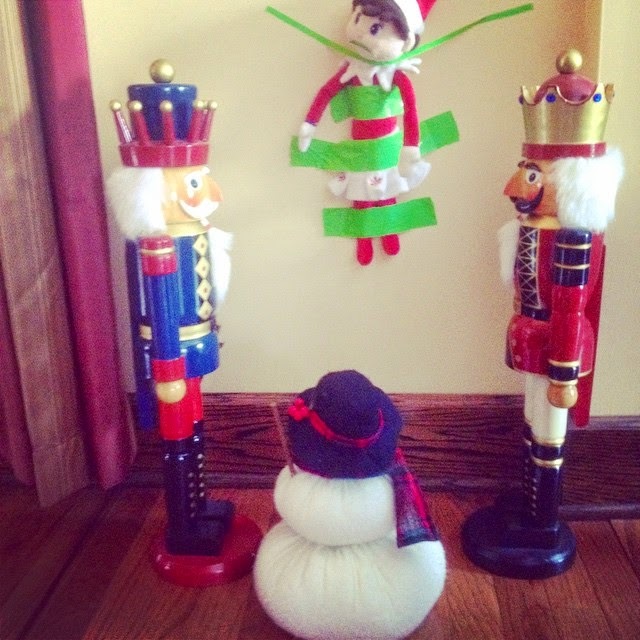 My 8 year old daughter loves the elf. She named hers Jelly Bean. 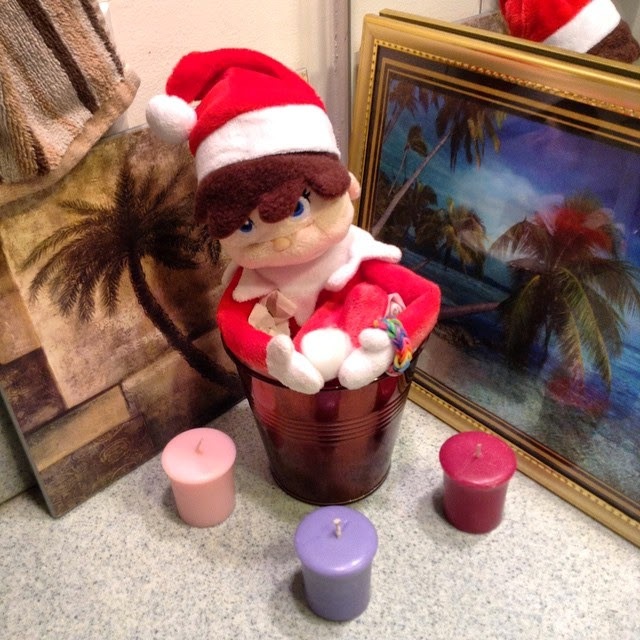 I fall asleep early, so I set up the elf while she is at school. She gets such a kick out of it when she comes home from school. Her smiles from it are priceless. 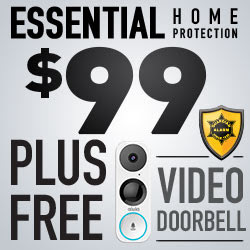 So, are you looking for a few ideas? Here are a few that have been a hit at my house. Elf at the beach was fun to do. 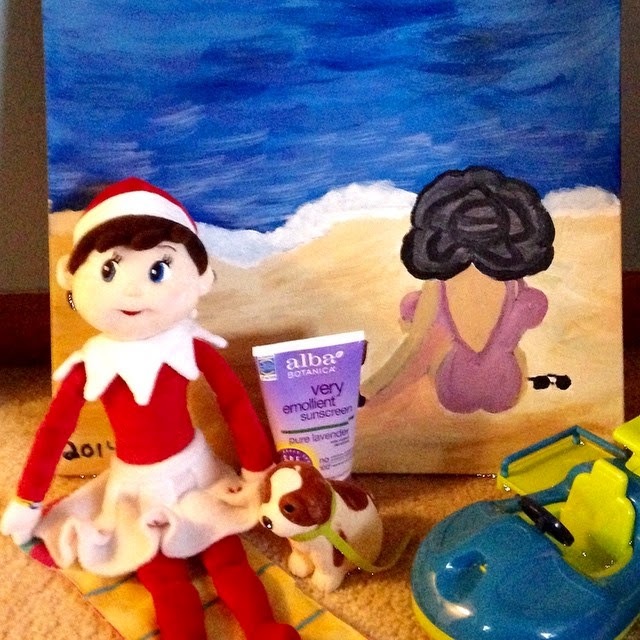 Since, hubby has been procrastinating on hanging my picture up, I decided a beach scene would be great for the Elf. I had to add in the sunscreen, because protecting your skin is a big priority. 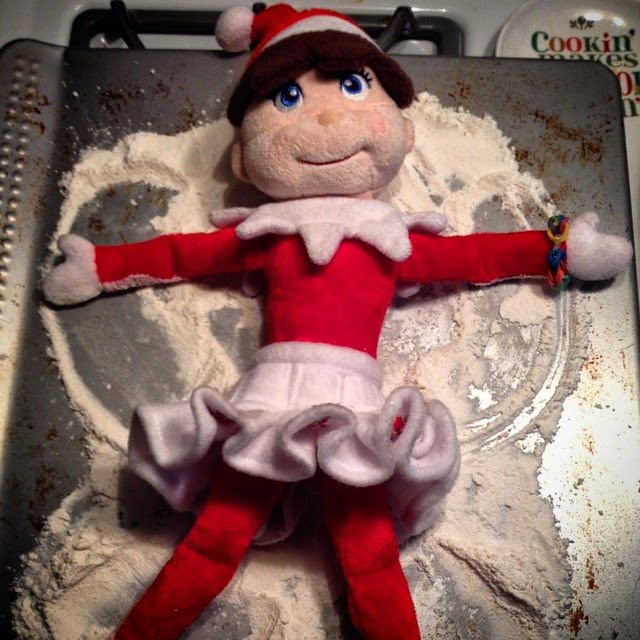 Elf-napped is dramatic, yes, but loads of fun. 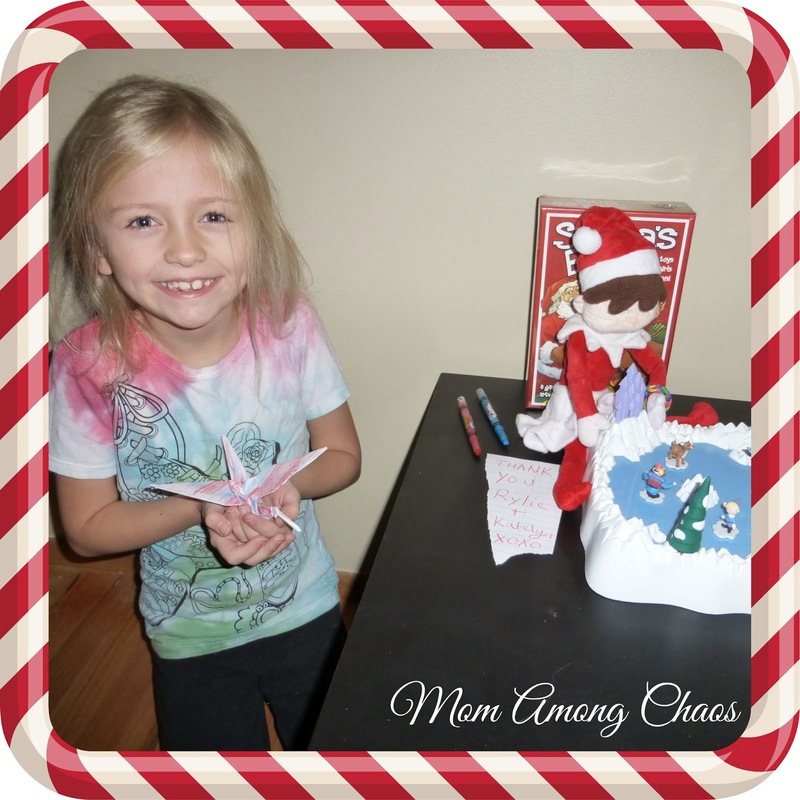 I recommend keeping your elf ideas to what is appropriate for your child. I just used duct tape to tape Jelly Bean to the wall. Shh, don't tell my husband, he would have a cow if he saw tape on the wall. 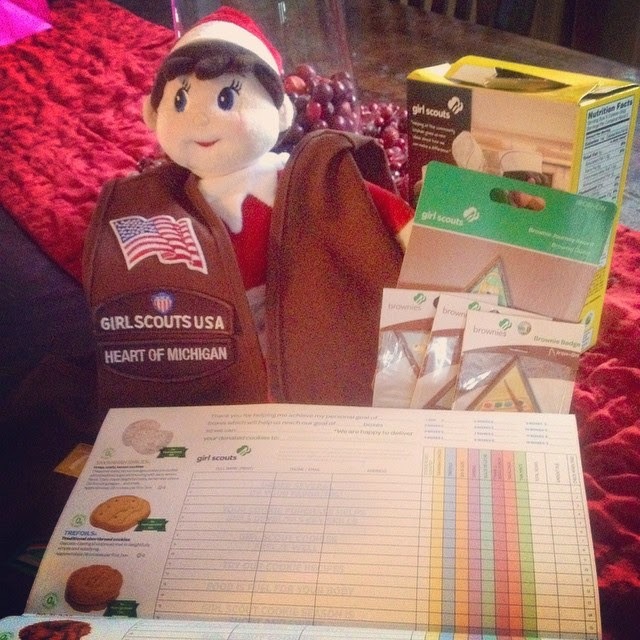 Girl Scout Elf is my favorite. My daughter was selling girl scout cookies at the time, so I just grabbed her gear to set up something simple and cute. 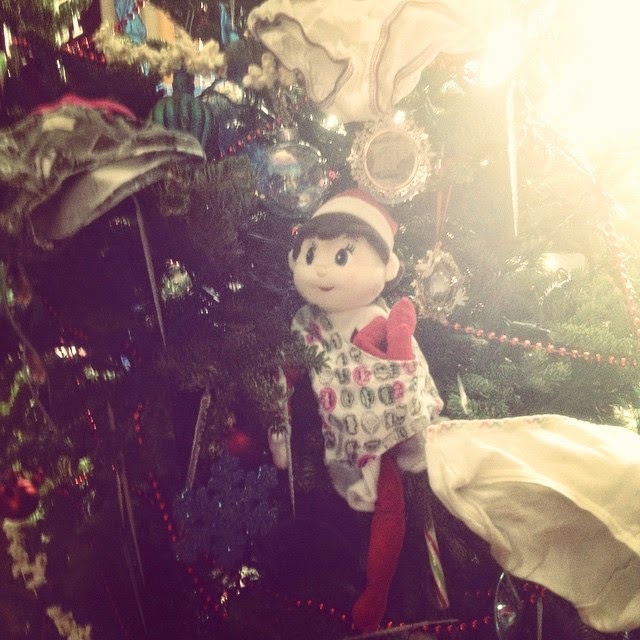 Elf decorates the Christmas tree. Elf decorating the Christmas tree, with my daughters underwear, is another funny idea. My daughters roared with laughter over this one. 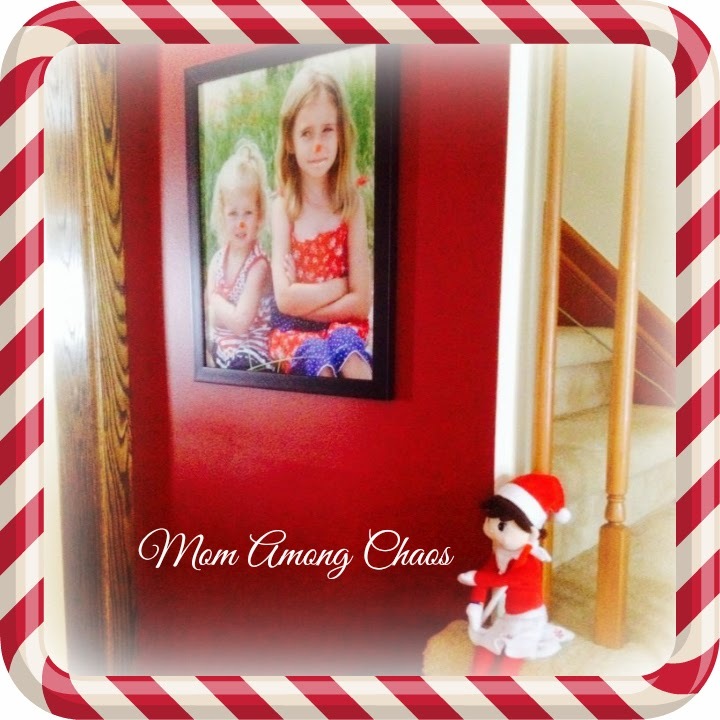 Elf graffiti on family photos is easy to do with dry erase markers. Jelly Bean gave the girls Rudolph noses, but you could do mustaches or whatever you want. 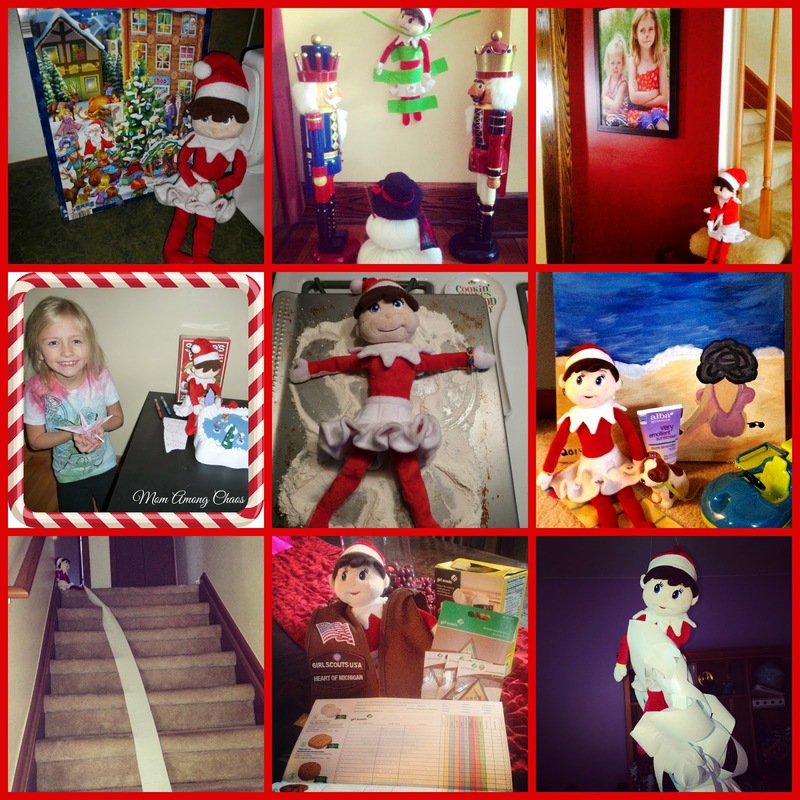 Here are some photos of Stephanie's family's elf named Caroline. 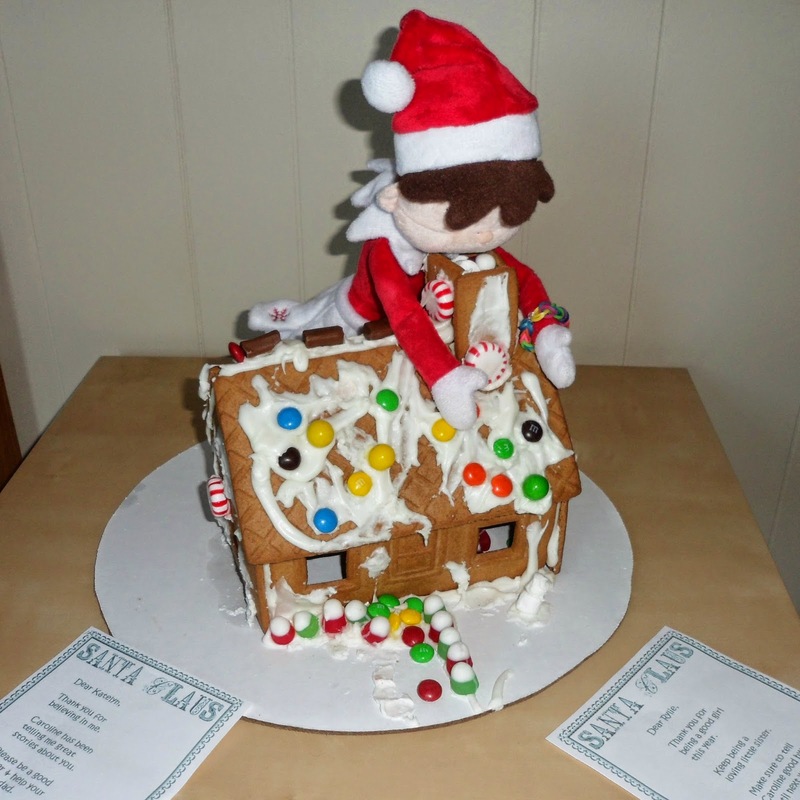 Is your Elf naughty or nice? Or, a combination of both? We would love to hear some of your ideas.